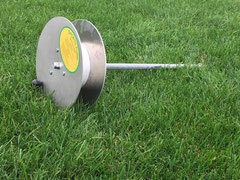 The Easy-Stringer is the most efficient and ergonomic athletic string winder on the market. Watch the video below for a quick demonstration. Our new soccer goal anchoring system allows you to install safe and secure soccer goal anchors in a fraction of the time with the use of an impact wrench. Watch the video below to see for yourself.